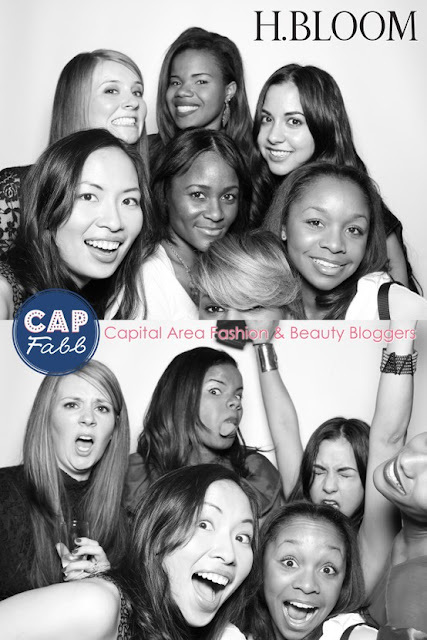 Tuesday night was quite the celebration for myself and my fellow CapFABB bloggers (group of fashion and beauty bloggers in the DC area) - one, we are at about 400 members strong and two, it was CapFABB's one year anniversary and I couldn't ask for a better group of girls to be surrounded by, we are all so supportive of one another and it extends beyond blogging for us. And trust we know how to party! Held at Cities in DC, we had a floral bar to make DIY arrangements, photo booth, flowing drinks and yummy hor d'oeuvres. These girls are amazing! It was definitely a night to remember! awwww..that's super awesome!! nothing beats having a great group of gals sorrounding you. I love your skirt you wore , you looked great ! Ok - let me just start by saying you looked stunning!!!! The whole outfit is absolutely fab! new follower. LOVE your style!!! The heels and skirt are TERRIFIC! The group sounds like a great concept and glad you enjoyed! You look absolutely gorgeous. Those shoes are serious business! Love them! too cute! and i just love your shoes! Aww looks like you guys had fun. Oh, I love your skirt. And great clutch too. I love the hint of orange!! Love that clutch and those orange heels! Thanks for stopping by and commenting! You have an amazing blog, dear, and I'm following you. love your sandals and bag..you look so fab! please check out my two new posts and let me know what do you think!! That clutch I'd KILLING ME! Ikat, orange and blue? It's perfect, I love it! I Love that skirt!!! It's like you're in my head on your last few posts! Thanks for checking out Boyish Chic! I'm loving your skirt & shoes - so amazing!! I love your outfit, especially with the skirt and the shoes. It's so gorgeous. Thanks for stopping by my blog. I hope you visit more often. That clutch makes the outfit. Love your look & the feature on StyledOn. Great seeing you at the event! It was definitely a lot of fun. Si ply gorgeous as always! Love the clutch! The simplicity of this outfit with the subtle pops of color are adorable, and that clutch is amazing! Amazing look!! You look very BEATIFUL! superb outfit!!! 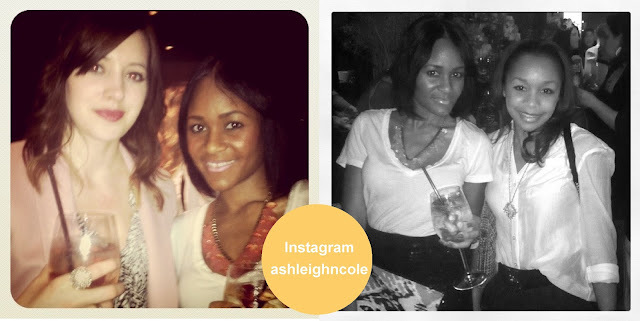 seriously I get excited when I come to your blog, your style is impeccable! and I see Trisha Renee in your photos, I met her at IFBcon, great girl! Your clutch is amazing!! It looks great with your outfit, now following! Love your outfit! Zara makes the cutest and most unique shoes! Love your shoes and clutch! Nice touch! This outfit looks amazing. This is just the right amount of orange. hey gorgeous, thanks for your comment on my blog! following, hope you can follow back. I love the touch of orange in your in outfit...dying over the clutch! Love your outfit, especially your shoes! Looks like a super fun party, everyone looks so stylish! :) Followed your blog! Fun! I can see why those Zara heels are so popular. They are stunning! Love the shape, and the touch of orange! Super cute shoes and skirt. The skirt + shoes = LOVE! !